Rikard runs his own companies as a financial manager and accountant. He is also the other part owner of 57˙ Nord. Right from the age of 4 Rikard was sailing his very own Optimist dinghy. His fundamental love of the sea and boating has always stayed strong, even if the focus has switched between various vessels over the years. He’s managed to own 11 more boats since the Optimist. Everything from catamarans to speedboats, surfboards and numerous other floating crafts. ‘For me, it’s heaven on earth to be out on the sea. I want to show my customers what fantastic natural experiences there are out here in Gothenburg’s archipelago and in Bohuslän.’ Says Rikard. 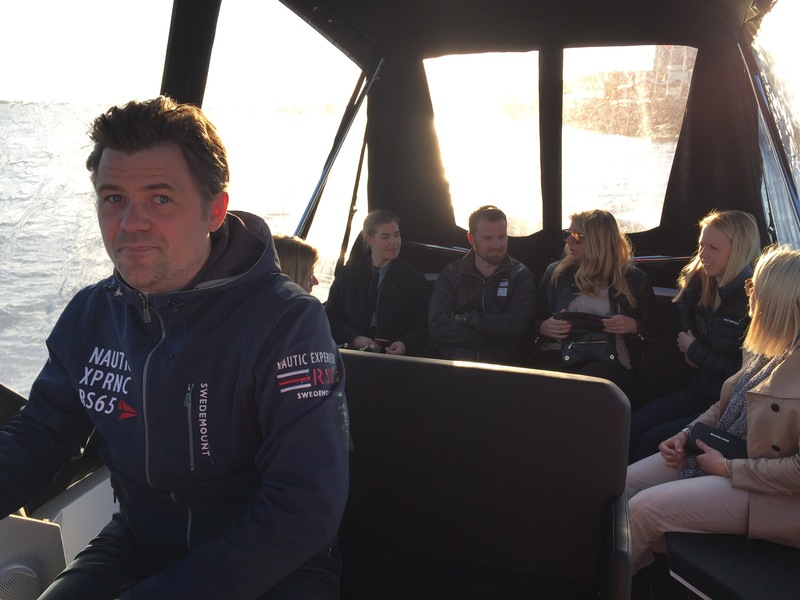 It’s the meetings with the guests, the conversations and the joy of being together on the sea that drives Rikard and makes him want 57˙ Nord to develop into the ultimate boat tour for Gothenburg’s archipelago. A good acknowledgment for him when a happy customer comes back for more. His home is in north Bohuslän on Raftö between Havstenssund and Resö, where he has his summer house. There are many private boating holiday makers here, and one of the favourite destinations is Väderöarna. For outings with Pandora however, Vrångö and Vinga are personal favourites for Rikard. Vinga has its historical value and Vrångö a great harbour. ‘Vinga is so much more than just an island. And Vrångö is calm and serene with a small cosy harbour.’ continues Rikard. ‘You’ve braved another winter and you have everything to look forward to. You can still take a swim even if it’s cold’ says Rikard, who always brings his swimming trunks with.